Rev. 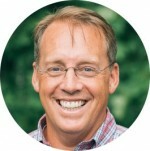 Greg M. Doll has recently become a partner at the Life Solution Center in Darien, CT, where he serves as a student-athlete mentor and character coach, a crisis chaplain to support and guide individuals going through life transitions and challenges and a spiritual director. He received a Master of Divinity degree from Gordon-Conwell Theological Seminary in 1999, and has pastored churches in North Carolina, Ohio and Darien, CT. He is currently a Minister at Large in the Presbyterian Church (USA). He is also the Chaplain for the New York City Football Club, and has been a regular guest chapel speaker for the NY Giants. In addition, Greg is a special advisor to the Darien High School Varsity Football Team and sits on the Board of Directors for the Darien Little League. He also co-hosts a weekly radio show called The Rabbi and The Reverend. In his free time, Greg enjoys coaching his kids’ athletic teams (he’s coached over 35 teams! ), fly-fishing, reading and cheering on his beloved Boston Red Sox and Kentucky Wildcats. During his college years at the University of Kentucky, he was a member of the Wildcats football team and Vice-President of the Fellowship of Christian Athletes. Greg and his wife, Kimberly, have three children, Eliot, Amelia and Simeon, and two faithful dogs, Moses and Abraham.